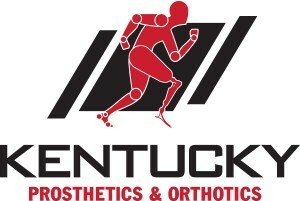 Kentucky Prosthetics and Orthotics….Transforming everyday lives with innovative solutions!! At Kentucky Prosthetics and Orthotics, our goal is to get our patients back to where they want to be. Our philosophy is that every person should be able to do at least 95% of what they did prior to amputation, if not achieve even more. That could mean rowing for the US Paralympics, returning to work on the police force, hitting a round of golf, or simply making dinner for the family. Our practitioners are dedicated to delivering the right fit; the right technology; and above all, the right ongoing support to transform your life. A true understanding of what an amputee lives through is the underlying force of our company. Our founder, Matthew Hayden’s wife and co-owner, is an amputee and cancer survivor herself. His experience as a spouse makes him uniquely qualified to understand the challenges and triumphs of an amputee. Kentucky Prosthetics and Orthotics provides unparalleled customer service, focusing to eliminate unnecessary prosthetic complications and helping patients reach extraordinary success. Our one-on-one personal attention and innovative solutions makes Kentucky Prosthetics and Orthotics a leader in the industry and a destination clinic for patients across the country.